When most people think of Parkinson’s Disease (PD), they think of tremors, shuffling gait, and memory problems. One symptom that is often overlooked, and poorly understood, is psychosis, which refers to the hallucinations or delusions experienced by PD patients. Hallucinations are not a “hot topic” because little is known about how or why they occur. Unfortunately, people tend to fear the unknown, so it is often easier to ignore or suppress this issue rather than address its underlying cause. Hallucinations can be very frightening, and potentially life-altering, for Parkinson’s Disease patients, especially if they do not understand these experiences or if they don’t feel comfortable talking about them. If PD patients are unable to get the help they need, hallucinations can become destructive on a deeper level, and lead to feelings of isolation, depression, anxiety, and/or dangerous behavior. How Common are Hallucinations in Parkinson’s Disease? Several studies suggest that hallucinations are reliable indicators of patient prognosis, which means that hallucinations can give information on how advanced in the disease a patient is. Therefore, it is crucial to be able to identify these symptoms early, to ensure prompt treatment and the best possible patient outcomes. A hallucination is a sensory perception of an image, in the absence of a real stimulus, which can range from simple flashes of light to more complex figures. Hallucinations manifest for different patients in various ways, and it may not always be visual. How do Parkinson’s Patients Experience Hallucinations? Early in Parkinson’s Disease, patients typically experience “passage hallucinations,” in which a person, animal, or indeterminate object briefly passes through the visual field. However, a patient may also experience “presence hallucinations,” which refer to the sense that someone is in the room without actually seeing anyone. Hallucinations can cause the patient to feel disconnected from reality, which, in turn, may lead to dangerous behavior. Therefore, it is very important for loved ones and caregivers to monitor the patient closely during a hallucinatory state, and seek medical attention if needed. In a recent study published in August 2018, researchers found that PD hallucinations are associated with reduced levels of GABA (gamma-aminobutyric acid) in the area of the brain responsible for vision.5 GABA is the brain’s major inhibitory neurotransmitter, which simply means that it tones down processes that put the brain cells into an easily excitable state. In the absence or depletion of GABA, symptoms such as anxiety, depression, insomnia, or movement disorders like Parkinson’s Disease, can occur. Sufficient levels of GABA promote a calm, relaxed state, and improved mental health. Conventional treatment options for hallucinations in Parkinson’s are limited. In the 1990s and 2000s, antipsychotics were given to patients with PD psychosis, but intolerable side effects were reported. Several other drug trials have been initiated since then, but the majority have resulted in adverse effects or worsening of motor symptoms. Fortunately, there are several natural treatments available, that can provide relief from hallucinations and potentially slow the progression of the disease. As mentioned previously, decreased GABA levels are associated with hallucinations, so increasing GABA may prevent progression. Although GABA supplements usually do not cross the blood-brain barrier, there are many ways to stimulate its production through nutrition. 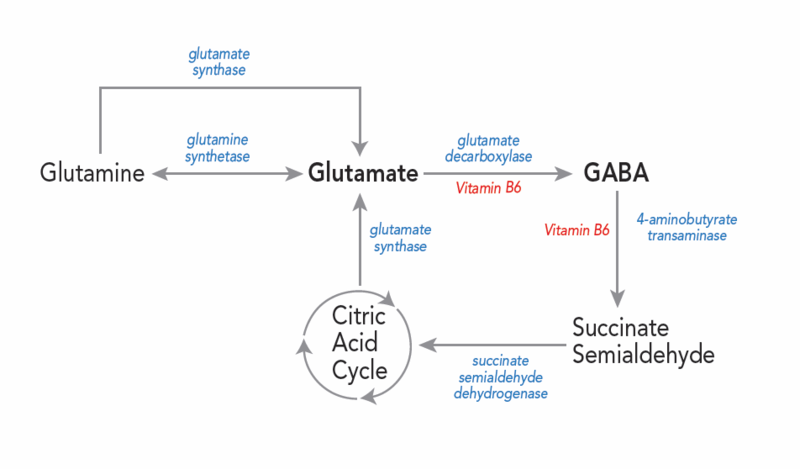 Another amino acid that can aid in GABA production is theanine. Theanine is naturally found in green tea and crosses the blood-brain barrier to stimulate GABA and dopamine production. A randomized trial reported measurable increases in the grey matter on MRI after Parkinson’s Disease patients participated in 8 weeks of mindfulness-based practices. 10 These studies provide evidence that mental health is essential to the prevention and treatment of Parkinson’s associated hallucinations. In order to fully understand and treat complex symptoms such as hallucinations, it is imperative to identify the underlying cause, address nutritional deficiencies, and optimize mental health. This enables us to overcome the “fear of the unknown,” and help Parkinson’s patients restore a state of normalcy and well-being in their lives. This article is not intended to diagnose or treat any individual with Parkinson’s Disease or any individual who experiences hallucinations. This article was created for educational purposes only and is not a substitute for medical, psychological or any other sort of professional care. Please, always contact your medical provider with any questions or concerns involved with the treatment for hallucinations and Parkinson’s Disease. If you have any questions about Parkinson’s Disease or Parkinson’s Disease Treatments, please contact The Parkinson’s Plan at 978-999-2423, today. Dr. Darlyn S. Dragg, N.D.
Parkinson’s Genes Do Not Have to Determine Your Fate! Is Parkinson’s Disease Genetic or Hereditary? How Does Parkinson’s Affect the Brain? Would you like to learn more about treatment options for you or a loved one? Schedule a completely free consultation today! Please call us for more information on The Parkinson’s Plan.